CSI Kitchen & Bath Studio is proud to represent five fine lines of cabinetry – Jay Rambo Company, Leicht, Rutt HandCrafted Cabinetry, Schrock, and Organized Living. From these lines an almost infinite choice of colors, styles, woods and finishes are available to you. Whether you are looking for traditional, transitional or contemporary styles, CSI has something for every taste. CSI Kitchen & Bath Studio is the exclusive dealer for Jay Rambo kitchen & bath cabinetry in the Atlanta area. Since 1953, Jay Rambo has been making an exquisite line of fine handcrafted, custom cabinetry for kitchens, baths, closets, entertainment centers and libraries. Jay Rambo offers a wide selection of wood species, door styles, finishes, construction types and decorative elements to make your design unique. Standard features include soft-closing under mount guides, all plywood construction and dovetailed drawers. Jay Rambo Co. has been awarded the Environmental Stewardship Program as certified by the Kitchen Cabinet Manufacturers Association. Leicht has earned the LGA Furniture Institute of Germany GS safety seal for the highest degree of comfort, loading capacity, material consistency and safety as well as the RAL Quality Certificate “M” which represents the top products of the German Furniture Industry and have been tested for healthy living standards. CSI Kitchen & Bath Studio is honored to represent the luxury line Rutt HandCrafted Cabinetry. 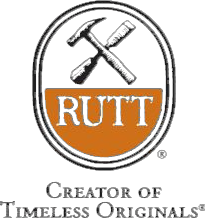 Rutt is historically known as the producer of the finest cabinetry available and for their unparalleled quality and versatility. This exquisite line for sophisticated and luxurious kitchens, baths, closets, libraries, custom mantels, among other cabinetry is handmade to order by skilled artisans in Lancaster County, Pennsylvania. Founded in 1951 by Phares Rutt, Rutt Handcrafted Cabinetry has become the leading name in luxury cabinetry-recognized by the discerning for its quality and artistry. While they have added technology to help guarantee a higher level of quality, it is never a replacement for the skill and pride of their artisans. Rutt has collaborated with renowned designer Scott A. Stultz to create the exclusive cabinetry series of Ruskin, Prairie and Exeter. CSI Kitchen & Bath was proud to premier the Ruskin cabinet in their showroom. Rutt has met the requirements of the Environmental Stewardship Program as certified by the Kitchen Cabinet Manufacturers Association. 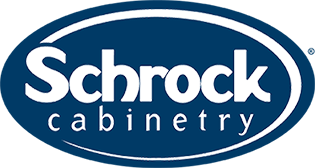 Schrock has met the requirements of the Environmental Stewardship Program as certified by the Kitchen Cabinet Manufacturers Association. Organized Living is an affordable line of cabinetry for closets, pantries, garages, you name it! With two styles to choose from—Classica™, an elegant wood-look melamine; freedomRail®, an easy to install rail system; and there are even special garage components—there is attractive storage to fit every organizational need.